You are at:Home»Disney Resorts»Disney Resort Articles»Should I stay in a Disney Resort that has Construction or Renovation? Should I stay in a Disney Resort that has Construction or Renovation? Disney World is in a constant state of change and the Disney World resorts are no exception. Personally I love that Disney keeps everything clean, modern and in great condition, and as a frequent visitor, I think it’s fun when they add something new. But… it’s important to know what’s going on when you’re deciding on what hotel to book. And sometimes you’ve made your reservation already, and Disney surprises you! It happens all the time. You’ve booked your resort, only to get a notice from Disney that there’s construction or renovation going on. Or you arrive at your resort and see there’s a renovation or repair that turns out to be bothersome. What happens during construction, rehab/renovations and routine repairs/maintenance? How will this all impact my stay? Should I stay in a resort with construction or renovations going on? To see if your resort has a planned rehab or construction period, visit wdwinfo.com’s page here. Please don’t take this as an absolute. If there’s nothing there for your resort during the time you’re visiting, it’s probably correct, but it’s still possible it could happen. In the meantime, it’s important to know what you’re looking for in your hotel stay. For example, are you just looking for a clean room and an occasional quick dip in the pool? Or are you planning on hanging out at the resort and enjoying the atmosphere and the amenities like the pool? This will determine what you should do. Disney World Resort Construction vs. Renovation vs. Routine Repairs & Maintenance – What’s the difference to you? First let’s define each of these, and then we’ll discuss them and the impact they can have on you. Resort renovation is when Disney is repairing, changing and modernizing existing buildings and structures. Construction is when Disney is building something new, or significantly changing or adding to an existing structure. Routine repairs also happen frequently in the Disney World resorts, and they’re typically unannounced and of short duration. These can happen anywhere in the resorts. Routine maintenance happens every day in the Disney World resorts, and though it can be intrusive at times, it’s necessary. Imagine sitting by the pool, when they start pressure washing the sidewalks nearby. It’s anti-relaxing, but sometimes you can do something about it, and sometimes you can’t. We’ll cover the questions about renovations first, and then we’ll go over construction. First, check out this video of a Disney resort undergoing Construction and renovation. Here are a couple of photos of Coronado Springs without the construction. You can’t miss the difference! Check out the beautiful view and the serenity of the place! Below, at the end of the article, I’ll post a construction update and recent video tour of the updates and construction at Caribbean Beach resort. Check it out if you’d like to see that. RENOVATIONS AT THE DISNEY WORLD RESORTS – Should I stay in a resort undergoing renovations? Common areas like restaurants or stores. Main pools or quiet pools and the poolside buildings. Resort buildings – interior and exterior. Guest rooms: When Disney renovates their guest rooms and guest room buildings, they usually work on the interior and exterior. Still, this could have no impact on you, or it could be problematic. It will depend on what’s being done, and where it’s being done. Common areas: Disney might do renovations on pools and associated buildings, restaurants, etc. They may close them to work on them, or they may continue to use the area while it’s being worked on. If they close a pool, you’ll either be asked to use another pool in the resort, or a pool in a nearby resort (they’ll provide transportation). If they close a restaurant, either you’ll be asked to use the other restaurants in the resort (if there is another), or they’ll give you some kind of alternative. Sometimes they’ll create a temporary space to replace the restaurant. When is the renovation a problem and when is it not? Not a problem: If the building(s) being worked on are not really close to your room, and they’re not really close to a common area that you want to use, it may not be a bother at all. Not a big problem: Even if the renovation is close to you, if it’s only work being done inside the rooms, it’s usually not a big deal. Though there may be some noise in the morning when the workers arrive. You may hear noise early in the morning – workers talking, power tools, hammers, etc. You may experience fumes in the air from paints, glues, sealants, etc. May be a problem: Exterior renovations that are close to a common area, or in a common area that’s left open during the renovations may be problematic. On weekdays during work hours you can expect noise and possibly fumes. 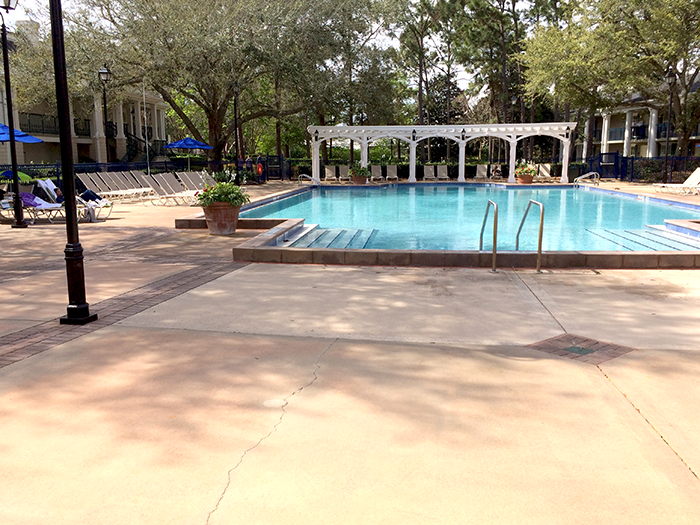 Here’s a picture of a quiet pool at Port Orleans Riverside. You can see on the left how close some of the resort rooms are to the pool. This photo was taken right in front of a poolside building that houses laundry and restrooms. On several occasions we’ve been there when there’s been work on that building, as well as on the exterior of the nearby guest rooms. At those times the workmen were just a few feet from the pool area. There was constant and deafeningly loud noise from power tools, as well as dust, debris and chemicals in the air from the work being done. There was no way we could hang out there and we had to go a good distance to find another pool. For us this wasn’t convenient, relaxing or preferable, but it’s a fact of life at Disney. Some people might not mind though, and of course it’s not a problem at all if you don’t mind walking farther away to get to another pool. May be a problem: They might close a common area. This might include a main or quiet pool. If there are other pools in the resort, you may need to use them. Sometimes they’ll give you pool privileges at a nearby Disney resort, and they’ll provide transportation, but of course this isn’t as convenient. If it’s a restaurant, they may create a temporary alternative location for dining. Why am I saying that the above “may be a problem”? And not that “definitely is a problem”? Because some people simply won’t care. So who should stay in a Disney World resort if it’s undergoing renovations? 1. If you’re not sensitive to chemicals, and you don’t mind noise, and you don’t care if you have access to the common areas being impacted, renovation might not be a problem for you. 2. If you can get a room that’s far from the renovations, it might not be a problem for you at all. That will depend on you, your preferences, whether you have health conditions like allergies, and whether something at the resort that you planned to use a lot will be impacted, like a pool. Tip: If you’re choosing to stay at a Disney World resort that is undergoing renovations, I’d request a room placed far from the buildings being worked on. Depending on what’s being done, the renovations may not bother you at all if you’re not staying near it! CONSTRUCTION AT DISNEY WORLD – Should I stay in a resort with construction? If there’s a construction project in your resort, the work will usually be taking place Monday thru Friday, 9 am to 5 pm. That said, construction may be worth taking into consideration. I run a Facebook group called Walt Disney World Made Easy for Everyone, and that question gets asked all the time. For some people, visiting Disney is a once in a lifetime experience, and for many, the Disney resort experience is a big part of the fun and relaxation. If that’s the case for you, and you have the option of choosing a different resort, I’d recommend that you do it. Sometimes Disney will offer lower rates to fill the rooms in the resorts that have ongoing construction. That may make it worth it for some people, though not all. If you’ve been offered a tempting rate at a resort with construction, should you do it? The location, scope and size of a construction project. The stage of the construction project. Where your room is at the resort. How much use you plan to make of the common areas, etc. The day of the week. Construction doesn’t happen on weekends usually. What the stage of the construction project is. I see that there are some people who just don’t care about things like nice views and a peaceful atmosphere. They just want the room and the Disney resort perks like transportation and Extra Magic Hours. They use the resort just for a place to sleep and shower. They might grab a bite in the resort restaurant or take a quick dip in the pool, but they don’t mind inconveniences when those things are closed, or they have to walk farther to get to substitute locations. They don’t care about the noise, fumes, dust, etc. If you plan to use the resort mostly for sleeping. If you tend to get up early and go right to the parks. If you’re not sensitive to dust, chemicals or noise. If you don’t care about the view. If you’re able to get a good price for a resort with construction. So my opinion is still the same for everyone else. If you’re travelling to Disney World, why not stay somewhere without all the negatives involved with construction? 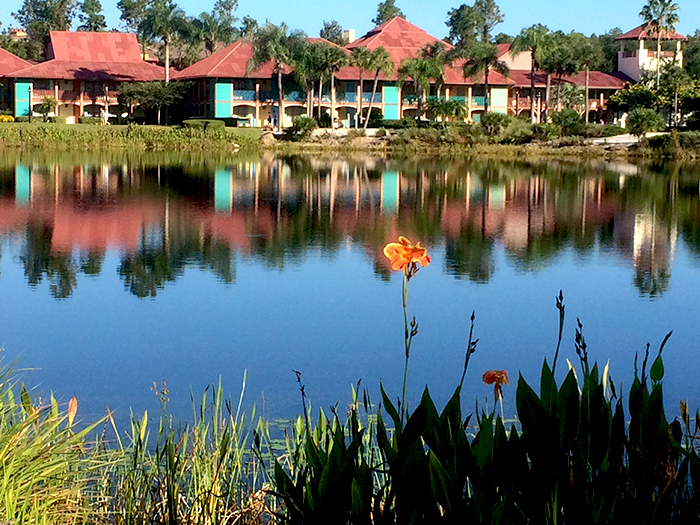 Last year we stayed at Coronado Springs, one of our favorite resorts. We’ve stayed there many times and we wanted to visit for a short birthday celebration trip. They were putting up a new hotel building and a restaurant on the lake, and renovating several other areas around the resort. Before booking, we researched the impact of the construction by asking for feedback from people on Facebook, and we called and spoke with management at the resort. My wife has pretty severe allergy issues, and management assured us we wouldn’t be impacted by the work going on. They put us in a room that was supposed to be far away from the activity so we wouldn’t have a problem. Also on Facebook in a Coronado Springs focused group they assured us it wouldn’t be a problem. We arrived on the weekend, so although the views were really messed up with all the construction trucks, equipment and building sites in multiple locations around the resort, it was relatively quiet. By Monday morning it was chaos! The trucks were rolling in over the property. The dust was kicked up and visibly floating throughout the resort, and there was the smell of chemicals in the air. There was a ton of noise, and there were huge trucks, building equipment and workers visible from almost everywhere. Ultimately because of my wife’s allergies we had to be relocated to another resort, and that move cost us a full day during a short trip. 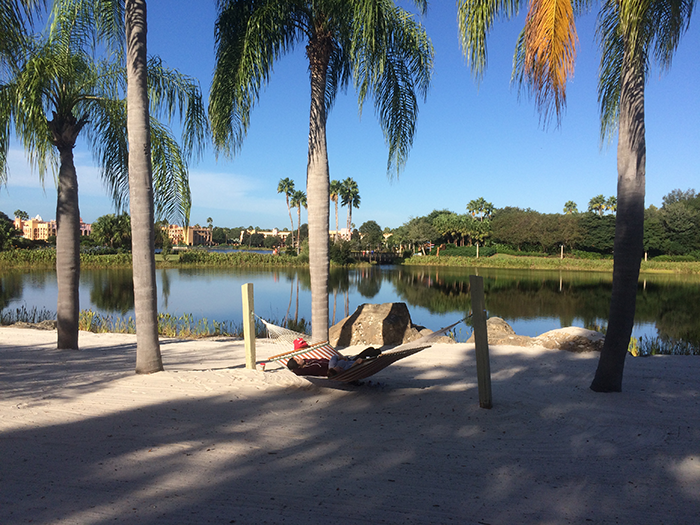 We realized that even if there isn’t an allergy issue, the construction activity removed the wonderful, peaceful experience we always have had during our many stays at the Coronado Springs resort. Keep in mind that when you’re reading reviews from others who say that the construction was no bother to them at all, things could be very different when you go. You may be in a different room and building, and the stage of construction might be different. And what may not bother someone else, may be a disappointment to you. A Disney vacation isn’t cheap. If you’re springing for it. why not stay somewhere without construction? Ultimately my recommendation to most of you is to stay somewhere that gives you the full Disney resort experience without construction. If you’ve found out after booking that your resort will have construction or high impact renovation, what should you do? Unless you’re one of those people I described above who doesn’t really care about such things, I’d suggest that you call Disney or talk to your travel agent, and see if you can change your resort. Maintenance in the Disney World Resorts is worth a mention. Pressure washers, especially around the pool areas. Leaf blowers on the lawn, and on the walkways. There have been times when we’ve been hanging out at the pool, and a Cast Member comes by with a pressure washer to use at the pool or nearby. Since my wife is allergic to the solution in the water, we’ve requested that the pressure washing be done another time. Most of the time the cast members are very respectful and obliging. However we respect that they need to get their work done, so I’d suggest only doing this only if it’s really necessary. Click here to read more articles on choosing your Disney World Resort. Here’s a video of Caribbean Beach’s construction if you’d like to see more. It’s approximately 80% done at this point, according to a Cast Member on site, and things are looking really good there. The majority of the work left is at the new DVC resort called the Riviera, and the gondola stations. The main resort common areas are all completed. We’re hearing from some of our group members that the construction was not impacting them. I would still suggest requesting a room away from the Riviera and gondola station. I’d also suggest those with allergies consider a different resort as the Riviera continues to be built. Do you have more tips or thoughts on this topic? Please feel free to post them in a comment below. We’d love your input. GET UPDATES, NEWS & TIPS (IT’S FREE!!! ), AND A FREE PLANNING CALENDAR TEMPLATE! Sign up below to stay updated on the newest information, tips and tricks to help you plan your perfect Disney World trip! We do not give out your information! I'm Stephen Ashley. My wife and I are huge fans of Disney World. I'm the author of Walt Disney World With Disabilities. I also wrote a book called Walt Disney World Made Easy for Everyone, but rather than have it published, at this point we've decided to place all the material from the manuscript on this website so everyone can have access to it! I hope you enjoy it, and I hope it makes your day just a little bit brighter and easier.